Team A had 2 BIG INNINGS (3 or more runs). Team B only had 1 BIG INNING, then the offense went to sleep. The whole game was determined by one inning (top 3rd). This is the BIG INNING. That is the story of youth baseball — it is almost always that “one” inning. Playing the game right means that you create BIG INNINGS on offense, and avoid BIG INNINGS on defense. So, how to you win youth baseball games? You create BIG INNINGS on offense and eliminate them on defense. Pretty simple. 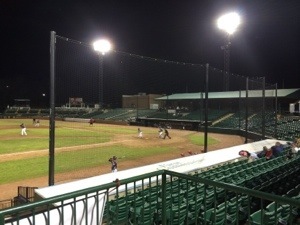 BIG INNINGS in youth baseball are usually the result of the defensive team “giving up” extra outs through errors on routine plays or because of walks. It is hard to create a BIG INNING on offense without a little help from the opposing team. The more pitches you see, the more likely a BIG INNING will happen. The pitcher will eventually start to groove the ball. When the pitcher grooves the ball, be AGGRESSIVE. Force errors by running out EVERY groundball. Put pressure on the defense, even on routine plays. Hustle puts pressure on fielders. Do not give up outs on the basepaths. This is called “running yourself out of a BIG INNING“. Outs are precious, save them. Battle for every at bat. Do not give away at bats. A lot of BIG INNINGS are the result of what happens after 2 outs. Every Quality At-Bat above 3 in an inning will result in another run. Minimize walks, minimize pitches. This keep the fielders focused and ready to make a play. Make routine plays. Do not compound errors by making bad throws or missing cutoffs. 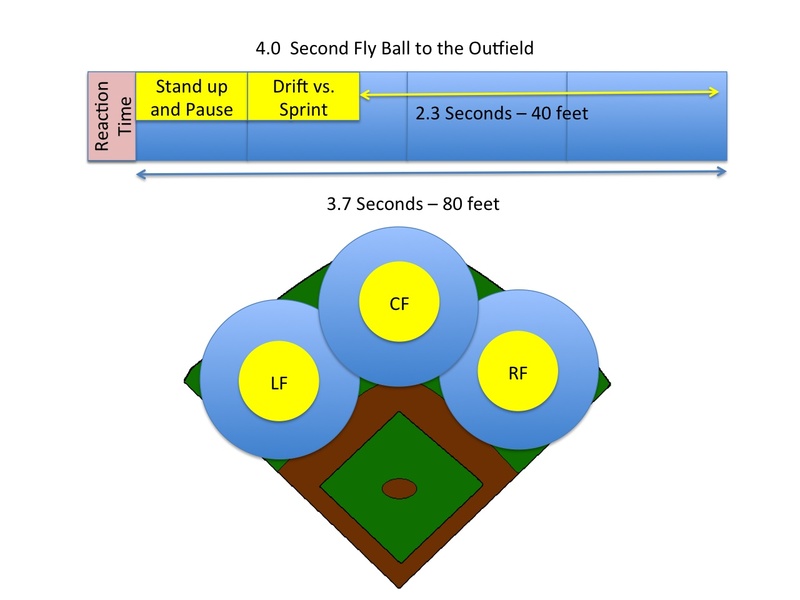 It is usually the second error or second walk of the inning that creates a BIG INNING. When an error is made, the entire team needs to pick the intensity and focus up another notch. The first error in an inning usually OK, the second error hurts bad, and the third error enables the BIG INNING. Walks have the same impact. Prevent runners from taking the extra base by executing cutoffs and relays correctly and eliminating passed balls/wild pitches. Maintain force out and double play situations. Always get an out in a sacrifice, force out or squeeze situation. Take control of the game. Call timeout. Get a cheap out on a back pick. Have and infield meeting. CHANGE THE MOMENTUM!!! Don’t just sit back and watch it happen. Refocus with 2 outs. Get your team off the field. If you are able to prevent BIG INNINGS, your team will compete in every game. I had a flashback on this passage from the book Coach this evening as a pitcher struggled in the first inning. What happened next is that, during Mardi Gras break, I left New Orleans with my parents for a week of vacation. I had thought that if I was a baseball success — and I was becoming one — that was enough. But it wasn’t; success, to Fitz, was a process. Life as he led it and expected us to lead it had less to do with trophies than with sacrifice in the name of some larger purpose: baseball. By missing a full week of practices over Mardi Gras, I had just violated some sacred but unwritten rule. Now I was back on the mound, a hunk of Ben-Gay drooping from the brim of my cap, struggling to relocate myself and my curveball. I didn’t have the nerve to throw the spitter. I’d walked the first two batters I faced and was pitching nervously to the third. As I pitched I had an uneasy sensation — on bad days I can still feel it, like a bum knee — of having strayed from the Fitz Way. But I had no evidence of Fitz’s displeasure; he hadn’t said anything about the missed practices. Then his voice boomed out of our dugout. I did my best not to look over, but out of the corner of my eye I could see him. He was pacing the dugout. I threw another pitch. I was now pitching with one eye on the catcher’s mitt and the other on our dugout. The bases were now loaded. Another guy in need of a shave came to the plate. Skiing, in 1976, for a 15-year-old New Orleanian, counted as an exotic activity. Being exposed as a vacation skier on a New Orleans baseball field in 1976 was as alarming as being accused of wearing silk underpants in a maximum-security prison. Then and there, on the crabgrass of Slidell, La., Coach Fitz packed into a word what he usually required an entire speech to say: privilege corrupts. It enabled you to do what money could buy instead of what duty demanded. You were always skiing. As a skier, you developed a conviction, buttressed by your parents’ money, that life was meant to be easy. 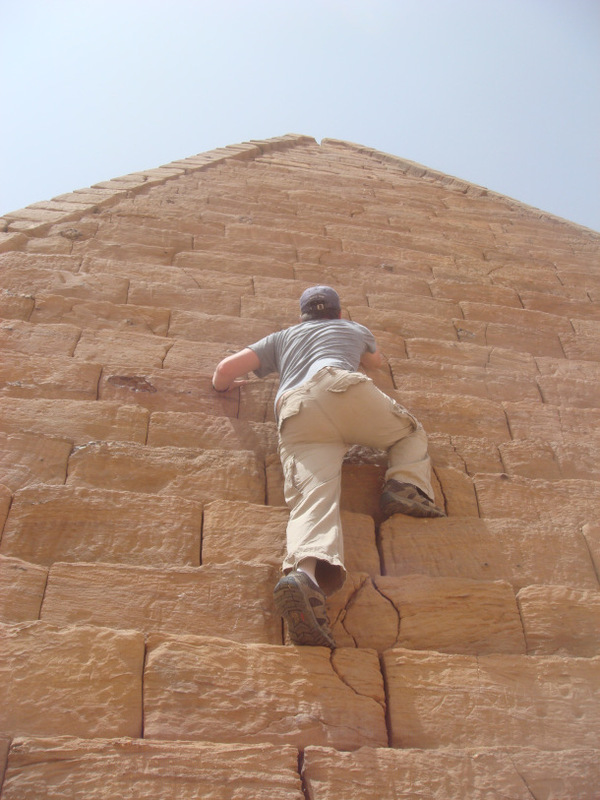 That when difficulty arose, you could just hire someone to deal with it. That nothing mattered so much that you should suffer for it. But now, suddenly, something did matter so much that I should suffer for it: baseball. Or, more exactly, Fitz! The man was pouring his heart and soul into me and demanding in return only that I pour myself into the game. He’d earned the right to holler at me whatever he wanted to holler. I got set to throw another pitch in the general direction of the strike zone. Please, don’t say skiing, I recall thinking as the ball left my hand. Or, if you must say skiing, don’t shout it. Just then, the batter hit a sharp one-hopper back to the mound. I raised my glove to start the face-saving double play at the plate, but with my ears straining to catch Fitz’s every word. And then, abruptly, his shouting stopped. When I regained consciousness, I was on my back, blinking up at a hazy, not terribly remorseful Fitz. The baseball had broken my nose in five places. Oddly enough, I did not feel wronged. I felt, in an entirely new way, cared for. On the way to the hospital to get my nose fixed, I told my mother that the next time the family went skiing — or anyplace else, for that matter — they’d be going without me. After the doctor pieced my nose back together, he told me that if I still wanted to play baseball, I had to do it behind a mask. Grim as it all sounds, I don’t believe I had ever been happier in my adolescent life. The rest of that season, when I walked out to the pitcher’s mound, I resembled a rounder hobbit with a bird cage on his face; but I’d never been so filled with a sense of purpose. Immediately, I had a new taste for staying after baseball practice, for extra work. I became, in truth, something of a zealot, and it didn’t take long to figure out how much better my life could be if I applied this new zeal acquired on a baseball field to the rest of it. It was as if this baseball coach had reached inside me, found a rusty switch marked Turn On Before Attempting to Use and flipped it. 10pm Friday night, I am scouting a 14 year old baseball team that we play tomorrow. Not complaining. When a kid gets to about 14 years old and decides to put his heart into something, it is such an honorable and courageous act. There are A LOT of distractions for young men these days. AND, there is as much pressure as ever to “fit in”. But, most people that are exceptional at something do not necessarily fit in. That is not a criteria for being exceptional. Malcom Gladwell’s book “Outliers” gives a lot of insight into what makes people exceptional — from business, to sports, to music, etc..
At the fundamental level, becoming exceptional is a process, comprised of hard work, passion and deliberate repetitions in the right environment. That is the basis for being exceptional — and that is why it is so honorable and courageous. Young men (and adults!) in this process are naturally going to be a little different and are going have an edge to them. That is part of what allows them to be exceptional. What better sport than baseball as a platform for teaching this process? 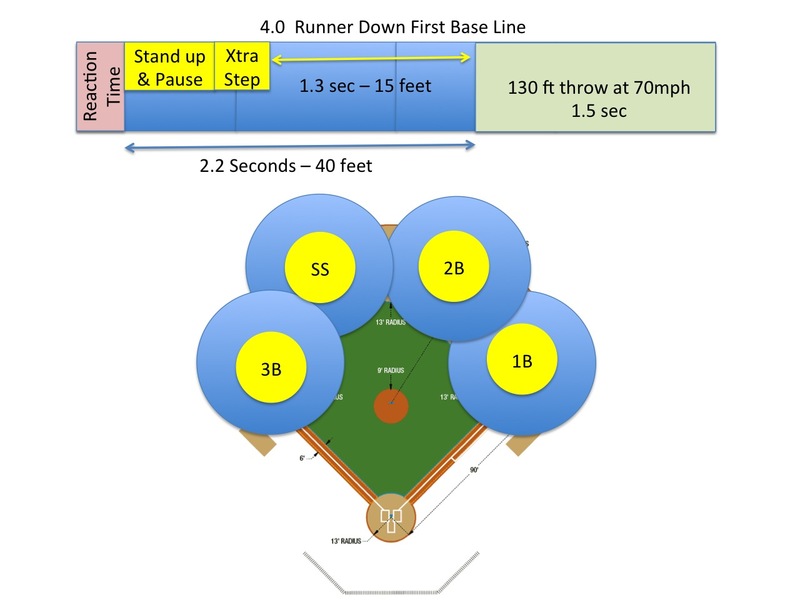 After just teaching the sure double tandem relay system, I was reminded of this play by Derek Jeter. So, winning run on 1st base, sure double down the right field line. Most MLB teams have the 2B go out as the lead guy and the 1B go out as the tandem guy on balls down the line. This is how the Yankees do it. The RF overthows BOTH guys! Jeter sees it happening and sprints out of nowhere to back up the bad throw and flip the ball to Posada at home to nail Jeremy Giambi, whose failure to slide probably costs the A’s a trip to the World Series. That was not part of our lesson. That is being an athlete and “in the moment”. That 3rd inning it really hard to win!